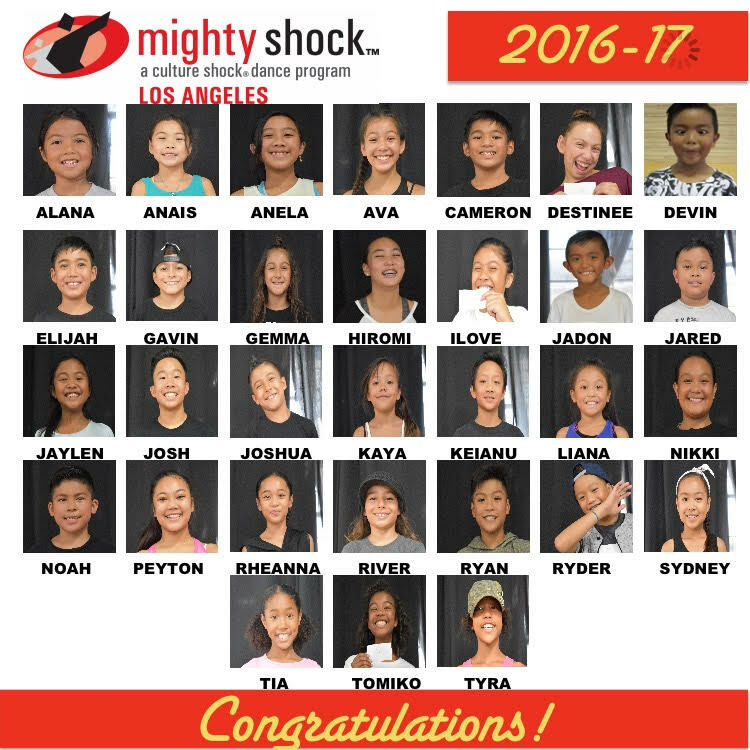 Congratulations Mighty Shock LA 2016-2017! HomeCongratulations Mighty Shock LA 2016-2017! We proudly present the Mighty Shock Los Angeles 2016-2017 dance company! Thank you so much to everyone who came out to auditions for Mighty Shock Los Angeles last weekend. There was so much talent, spirit, and heart that we had an incredibly challenging decision making process. For everyone who joined us, thank you for your support! Even if you didn’t make it this season, we hope to see you at our events and that you KEEP DANCING! Congratulations to our new Mighty Shock LA 2016-2017 team! « Congratulations Mini Shock LA 2016-2017!